This interview is part of the Love & Friendship Janeite Blog Tour celebrating the release of the novelization of the film Love & Friendship, itself an adaptation of Jane Austen’s novella Lady Susan. We conducted it in the spirit of the novel (check out the link to Austenprose above for more information about it) and Mr. Stillman was kind enough to play along. We have read Mr. (or should it be Signor?) Martin-Colonna’s little effort in refuting what he considers libelous untruths about Lady Susan Vernon. Firstly, we feel that we must register a protest in defense of the Divine Goddess whom Mr. Martin-Colonna has been pleased to refer to as the Spinster Authoress, being a member of that race ourself. We Spinster Authoresses must not desert one another; we are an injured body. Mr. Martin-Colonna being a man, he very possibly does not understand his privilege: Men have had every advantage of women in telling their own story. Education has been theirs in so much higher a degree; the pen has been in their hands. 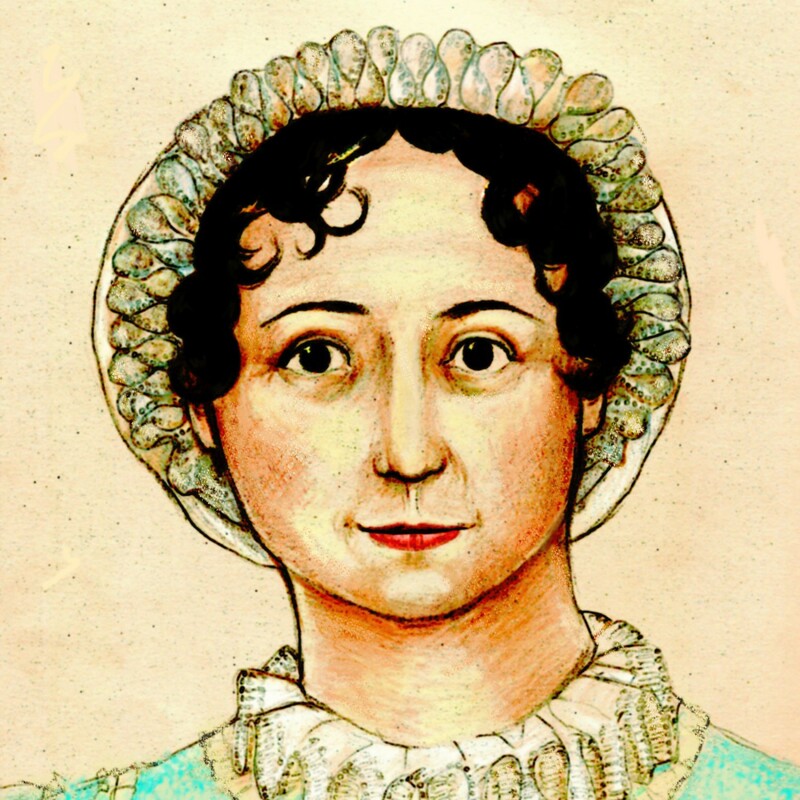 Thus, women have had a disadvantage from the beginning, and we think deserve some protection from such boldly offensive behavior as Mr. Martin-Colonna’s towards Miss Jane Austen. Also it seems to us that the “Spinster Authoress” upon whom Mr. Martin-Colonna has heaped such scorn would have pointed out that he (that is, Mr. Martin-Colonna), like many men, at least when it comes to Lady Susan, tends to use a different organ for thinking than that which the Creator provided for the purpose. But perhaps we are speaking out of turn. And now to the questions for Mr. Whit Stillman, whom we presume to be the editor of Mr. Martin-Colonna’s energetic defense of his aunt, Lady Susan. Love and Friendship has landed! The excitement is beginning…firstly, for those wondering when everyone not struggling through blizzards and airline terminals without charging stations (seriously? Did we slip back into the 1990s unawares?) to get to Utah will be able to see the film, it will stream on Amazon in the U.S. (it is not clear to us if that means only for those with a subscription to Prime, or if anyone can pay to rent it) and we believe will also have a theatrical run, probably at your local indie cinema. We can’t speak to other countries quite yet. Well, that didn’t take very long! Shooting has already begun on Whit Stillman’s Love and Friendship, and the paparazzi have obliged with photos from the set. We are perfectly delighted with the ladies’ hats shown in this article. We are also charmed by Ms. Beckinsale toting about a hot water bottle as shown at left–must be chilly in Dublin! Her outfit looks quite proper for Lady Susan Vernon, who has only been four months a widow and is still in mourning–though she appears to be wearing gray, or half-mourning, underneath. There are lots more photos in this article, including photos of Chloe Sevigny as Mrs. Johnson, Stephen Fry as Mr. Johnson, and Xavier Samuel as Reginald DeCourcy (and the sort-of hero has an article of his own as well). We know there is always a great deal of interest in the hero, so we’ve included a photo in this post as well. As a general FYI, the article states the film is set in the 1790s. According to notes in the Oxford Illustrated edition of the Minor Works, R.W. Chapman thought Lady Susan was written around 1795 and Brian Southam thought it more properly belonged to 1793-1794. There has been some confusion expressed over the title of this movie, and whether Austen’s hilarious juvenile story Love and Freindship (and for those who don’t know, that’s not a typo) will be part of the film, in some sort of mashup. We stress that we have no way of knowing for sure, but we’re happy to speculate. We doubt that Austen’s L&F is included in this production in any way. It is a completely different feel from Lady Susan–it’s very broad in its humor, and is a parody of the novels of sentiment of the time. Lady Susan is not at all a parody. From what we’ve seen, the casting of this movie has only included characters from Lady Susan, so it’s safe to assume that the only story will be Lady Susan. (Unless Stillman borrows from Patricia Rozema and has Frederica Vernon writing silly juvenile stories such as L&F? We hope not.) So why the change of title? Because when you think about it, the phrase “Love and Friendship” related to Lady Susan is kind of brilliant. There is so much manipulation and deception in LS masquerading as–love and friendship. Also, Lady Susan is not well-known to the non-Janeite general public. A character called “Lady Susan,” to the Muggles, denotes a proper, upright woman of fine character–in other words, not Susan Vernon. Love and Friendship, as a title, will be easier to market–even more so as it will inevitably be Jane Austen’s Love and Friendship. That should bring ’em in in droves! We have some more thoughts about Lady Susan that we will be posting later this week. We are delighted to pass on the news that Whit Stillman’s film Love and Friendship (which seems to actually be an adaptation of Lady Susan–yes, we know, but Whit Stillman) will begin filming this month in Ireland, according to Variety. Kate Beckinsale will take the role of Lady Susan Vernon (replacing Sienna Miller, who was attached to the role last year when this film was first discussed) and Chloe Sevigny will still be playing “her friend and confidante,” we suppose meaning Mrs. Johnson. The two actors co-starred in Stillman’s film The Last Days of Disco, and of course Janeites know Kate Beckinsale as Emma Woodhouse in the 1997 A&E/BBC television adaptation of Emma. In the film set in the 1790s, Beckinsale will portray the widow Lady Susan Vernon, who has come to the estate of her in-laws to wait out the rumors about her dalliances that are circulating through polite society. She decides to secure a husband for herself and her rather reluctant debutante daughter. 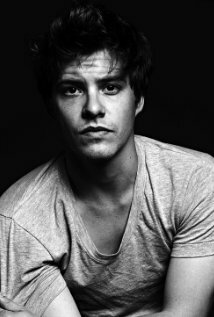 The cast includes Xavier Samuel as the object of Lady Susan’s affections, and Stephen Fry, who’ll play the long-suffering husband to Lady Susan’s friend and confidante portrayed by Sevigny. STEPHEN FRY! WHIT STILLMAN! We shall run distracted! The cast also includes Xavier Samuel (“Adore,” “Fury,” “The Twilight Saga”) as the object of Lady Susan’s affections, Stephen Fry as Mr. Johnson, the long-suffering husband to Lady Susan’s friend and confidante Alicia (Sevigny), as well as Emma Greenwell, Morfydd Clark, Jemma Redgrave, James Fleet, Tom Bennett and Justin Edwards. Mrs. Johnson’s first name is Alicia, so that confirms Chloe Sevigny’s role. We have high hopes for this production. If you haven’t seen Mr. Stillman’s delightful Metropolitan, which is not an adaptation of Mansfield Park precisely but certainly has echoes of it, try to track down the DVD. It’s unfortunately no longer available on Netflix streaming, but the DVD can be rented, and it’s available as a digital rental (and very inexpensive purchase) from Amazon in the U.S. If anyone can produce an Austen adaptation that doesn’t insult our intelligence, it is Whit Stillman. Fingers crossed! Thanks to Alert Janeite Cinthia for sending us the good news! Now, this is movie news we are actually excited about! News came out last week that Whit Stillman is casting his next movie, which will be a modern take on Lady Susan called Love and Friendship (spelled correctly; and yet we still had a “Bwuh?” moment). Sharper and sexier than the Austen you might know, and perhaps more in line with the works of Oscar Wilde, the story follows a widowed woman trying to find a husband for herself and her daughter. In a break from other books of the time, Lady Susan is active in pursuit of a new beau, and yet has a relationship to a married man as well. Of course, how Stillman puts this basic premise through his own filter remains to be seen, but it’s intriguing material nonetheless and something we could see him having great fun with.